Tiny, tiny ships. 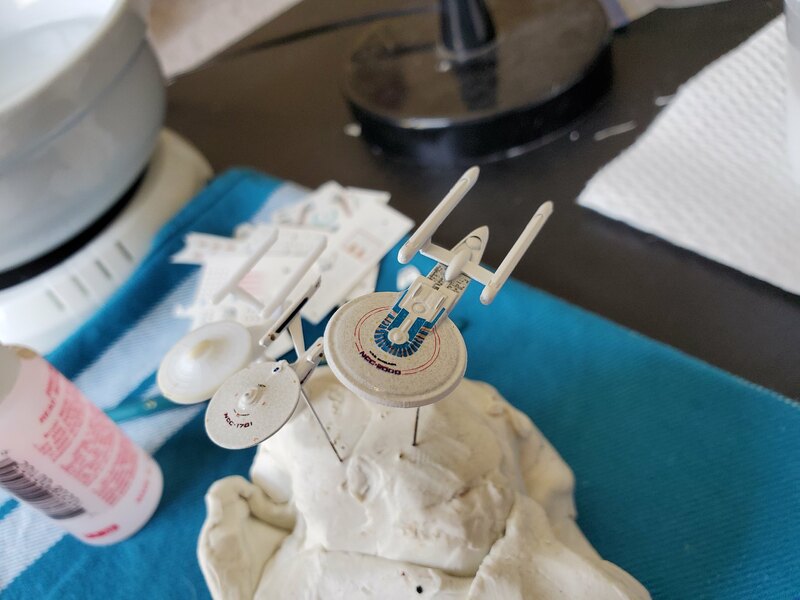 The Enterprise and the Excelsior, with aztec (well, sorta) wallpaper decals! 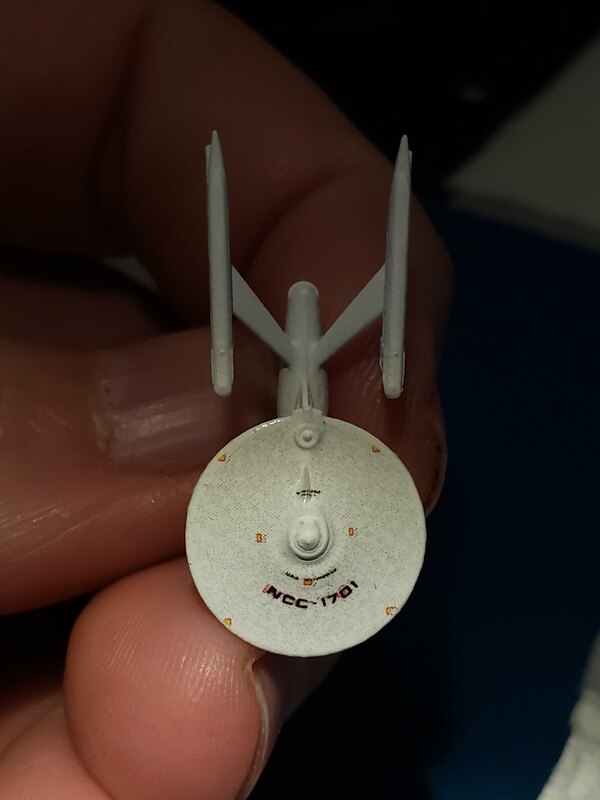 Both scaled to go with the 16" dia Spacedock. 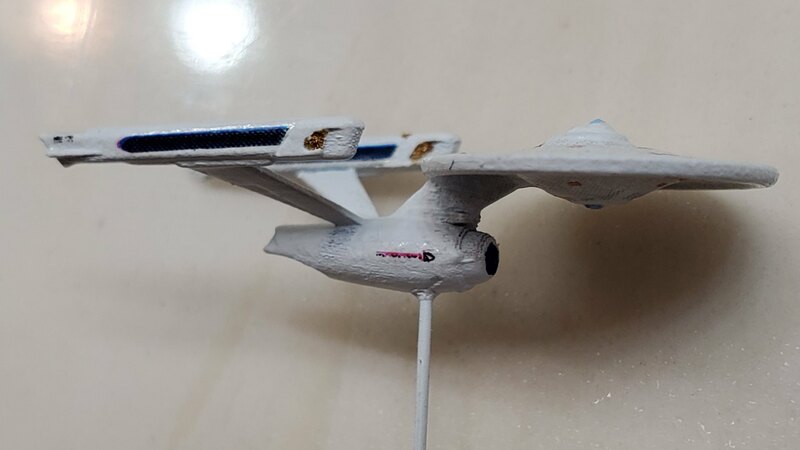 The Enterprise is 1.28 inches long, the Excelsior is something like 1.95 inches. Still have a little more to do on both of them, but boy those decals are....challenging! 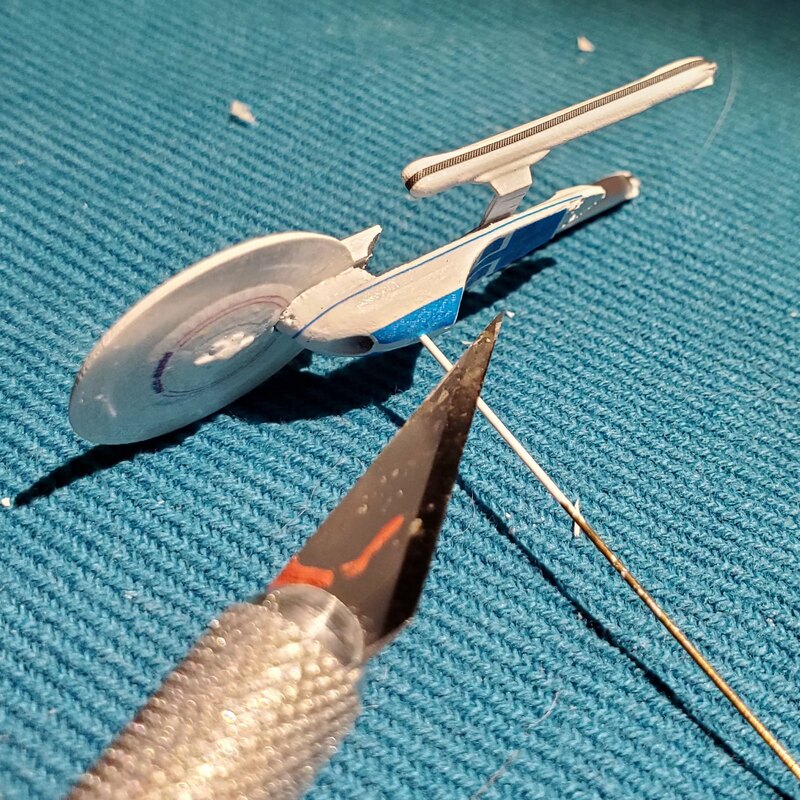 Esp the tiny thin blue stripe on the Excelsior secondary hull. Can you make some shuttles or work bees to go along with the station and ships? Yeah, sure, no problem. You want me to model some people in the workbees as well? 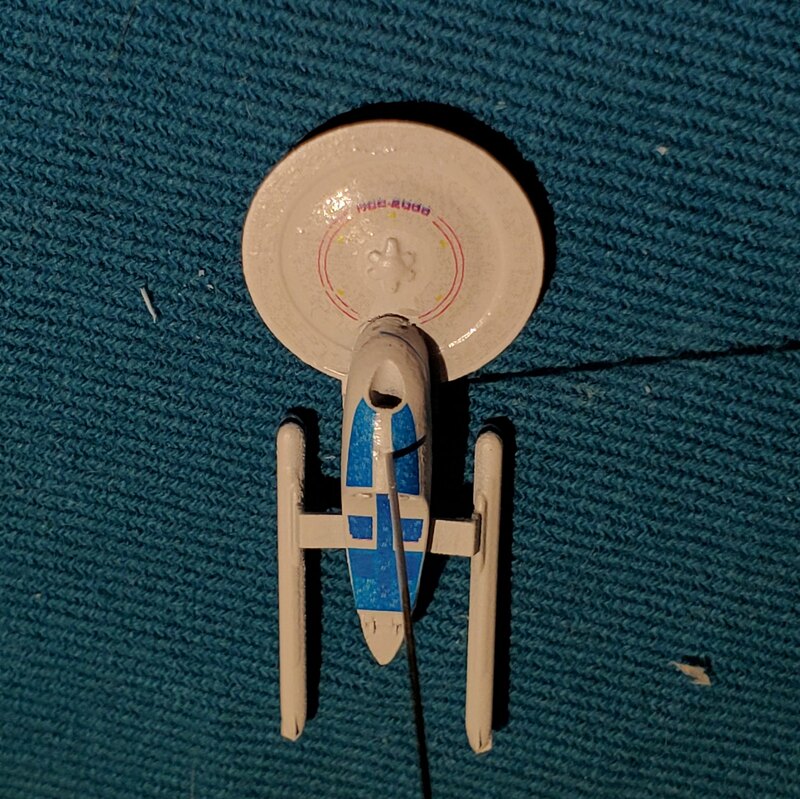 Or maybe some spacesuited figures out on the hull? Ship's cat sleeping in the abortum window.